Find Your Voice, Honor Your Expression, and Develop Your Confidence. Make powerful changes with your voice at your pace. Personally work with me to develop your voice. Read articles on vocal and performance techniques. Let me help you become the most powerful and joyful communicator you can be. – Laurie Wells, Broadway Singer of Trip of Love and Mamma Mia! "I can honestly say that I learned more from Jennifer in two weeks than from anyone else in my career." What does a session look like? What do we work on? No two sessions are alike. In every case, I allow you to lead, while ensuring that we stay on track and gently guiding you where we both want you to go. Our time together will be a blend of talking, voice work, and emotional investigation, always with a sense of levity and play. While our work is confidential, and you are always in a safe space, I never hesitate to challenge you to look more closely, go more deeply, tackle the big (and sometimes scary questions), and grow. Should I read your books and articles before we work together? You certainly don’t need to, but I think it’s a great idea to at least read The Art of Singing, and if you’re a singer, The Art of Singing Onstage and in the Studio as well. They will introduce you to many of the concepts we’ll be exploring together in our private sessions, saving you time and money, and giving you a chance to internalize the information. My articles on Performance Anxiety, Talent, American Idol, and Marketing are popular and get to the heart of my approach as well. How should I prepare for our time together, and what should I bring? As I tell everyone I work with, the most important thing you can bring with you is an open mind. Whether you’re in a perfect mood or in perfect voice doesn’t matter; I know what I’m looking and listening for beyond the surface. Come as you are and we’ll hone in on what’s going on and how to get you where you want to go. Singers, it’s a good idea to prepare material from your projects, and for those not currently working on something specific, two songs – one that you love and sing easily and well, and another that challenges you. For those with presentations or speeches on the horizon, bring those with you. You are welcome to try single session or two, and if you’d like to purchase a package, apply the amount you’ve already paid to the package price. For those of you interested in working more intensively– a common option for those traveling to work with me, or preparing for a specific engagement– I offer half-day, whole day, and weekend packages in Washington DC and New York City. I love this way of working together… it’s intense, intimate, and incredibly effective. My rates for these intensives vary, depending on specifics. I am also available, on an occasional basis, to travel to you. Please contact me to discuss what will work best for you. I do, based on an honor system, for those who would otherwise not be able to afford my coaching services. Please contact me to discuss your circumstances and to find a way for us to work together. Two great options for those on a budget are email coaching and my online courses, which will be coming soon. My books are also great resources; they lay the foundation for the work we do in my in-person coaching and in my workshops. I’ve also written various articles that will help you on your journey that you can read here on the site. Other than a session or package, is there a way we can talk or work together? Thanks to client requests over the years, I’m excited to offer consultations over email. Whether you would like feedback on your singing and songs, or to touch base about personal or professional concerns, email is a great, cost-effective way to begin our journey together. Click here to learn more and to see if our working together this way may be a good fit for you. My rate for this service is 49US for a comprehensive reading/listening and up to two responses. Similarly, I offer 30-minute phone or Skype consultations for those who would like to see if we are a good fit, or have a quick question or simple issue they’d like some feedback on. My rate for this service is 89US. My online courses – coming soon – are also a great, cost-effective way to learn at your own pace, in your own home. You can also visit my calendar on the home page to see when I’ll be in your area giving workshops or contact me to set up an event at your school or organization. I don’t live on the East Coast / in the US. Can we still work together? Absolutely! My clients are all over the world, and thanks to Skype, FaceTime and Google Hangout, we are able to connect as if we were in the same room. Another option is to travel to work with me in Washington DC or New York City. For out of town clients – and those with recording, touring and other performance projects on the horizon, or anyone who enjoys working more intensively – I’m happy to arrange half-day, full day, and weekend sessions. These are some of my favorite ways to work with you, as we’re not constrained by time and can relax, connect, and dive deep into your issues and quickly achieve what you want to accomplish. There are a few instances where working in person is superior to working online – For example, if you want to run songs with an accompanist. In these cases, it’s best (and often more cost effective) to hire someone locally, and then you and I can work together to troubleshoot any issues that might come up. What kind of computer and technology do I need for sessions over Skype and FaceTime? It’s less critical to have a specific type of computer, tablet, or phone for our work together, and more important that you have a reliable and very fast internet connection. I’m a teacher and want to learn more about bringing your ideas to my students. Do you offer teacher trainings? 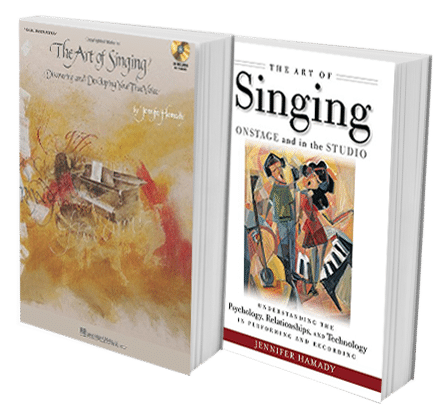 I often work with voice teachers and coaches to help them bring The Art of Singing to life in their own studios. Most teachers choose to book a package of 5 or 10 sessions, during which we explore your own instrument and teaching strengths, empower you with new knowledge and tools, and teach you to lead through listening. Your students hold the key to unlocking their best voices; I will show you how to share your wisdom and passion with others in a way that brings out their very best. Thanks to your many requests, I am also currently in the process of creating a comprehensive teacher training program. Please sign up for my newsletter and you’ll receive a note as soon as it’s ready to go.